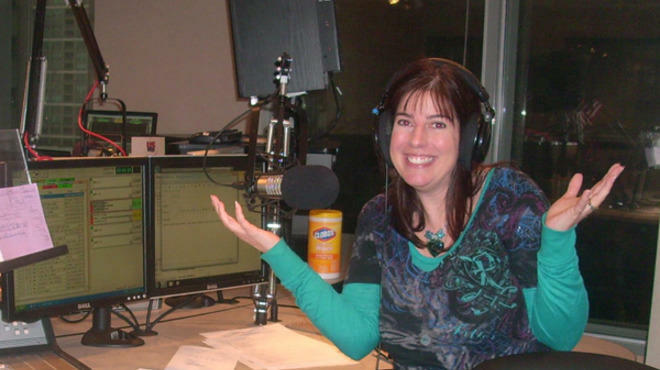 Stop the presses: Trish Biondo won’t be leaving WUSN-FM (99.5) after all. Thursday was to have been her last day as midday personality on the CBS Radio country music station, as reported here last week. But a call to her agent, Todd Musburger, revealed that US99 decided Tuesday to pick up the second-year option on Biondo’s contract, which allows her to broadcast part of the week from home. “I know that Trish is relieved and delighted with this outcome,” Musburger said. A Southwest Side native who has worked at US99 for more than 25 years, Biondo has hosted middays since 2006. Drew Walker, who was slated to take over her 10am to 3pm shift, will continue to host afternoon drive from 3 to 7pm. Ready to get COZI? Thursday marks the unofficial debut of COZI TV, the NBC Owned Television Stations’ new 24/7 program network, replacing NBC Chicago Nonstop. Starting at 5am, the digital channel will air a variety of classic series' holiday specials (such as The Adventures of Ozzie and Harriet’s The Late Christmas Gift and The Beverly Hillbillies’ Christmas) as well as holiday movies through the end of the year. On January 1, COZI TV officially kicks off with reruns of classic TV shows (including Magnum, P.I., Charlie’s Angels and The Six Million Dollar Man), movies and some original programming. Nielsen announced a blockbuster agreement Tuesday to acquire Arbitron for $1.26 billion. The combination of the two global audience-measurement giants was hailed as “the year’s biggest deal in radio” by industry analyst Tom Taylor. I say it’s dogs and cats sleeping together. While the rest of his Kiss FM colleagues were on vacation, morning personality Christopher “Brotha’ Fred” Frederick was back on television this week in Charlotte, North Carolina. Before he joined Clear Channel Top 40 WKSC-FM (103.5) here in January 2011, Brotha’ Fred was a big star in Charlotte, hosting mornings on WHQC-FM and moonlighting each night on Fox News Edge on WCCB-TV. On Monday and Tuesday of this week, he reunited with former co-host Morgan Fogarty on the local entertainment news show. “Hope to get something like this going in Chicago!” Frederick tweeted to his fans. Time Out Chicago is dropping its weekly sports column provided by ChicagoSide, the local sports website headed by Jonathan Eig. Time Out Chicago editor-in-chief Frank Sennett cited budget constraints for the move, effective in the new year, but said he hoped to continue featuring Eig’s work and that of other ChicagoSide writers in the features section. “I believe in ChicagoSide and am proud that TOC was the first media outlet to reach out to partner with them,” Sennett added. Rich Miller, publisher of the Capitol Fax newsletter and blog, has been named a consulting editor of a new online subscription newsletter covering Illinois, Cook County, and Chicago politics. The Illinois Observer: The Insider, which has been distributed free to lobbyists, lawmakers and politicians since October, will be published twice a week for an annual fee of $250, starting January 9. Editor and publisher is David Ormsby, former press secretary of the Democratic Party of Illinois and political blogger for Huffington Post Chicago. Negotiations between the Chicago Newspaper Guild and Sun-Times Media got underway in earnest last Friday, but apparently went nowhere. In its first formal contract offer, the company offered a three-year deal that included no raises and no restoration of salary cuts made in 2009 (when the paper was on the brink of liquidation). The company is also seeking creation of a new lower-paid classification of reporters, photographers, designers and copy editors, and establishment of a 10-hour day before overtime is paid. The union representing newsroom staffers is seeking three annual increases of eight percent each year, which it says represents “a phased restoration of lost salaries plus annual increases of three percent each year.” Talks are scheduled to resume Thursday. Rocky Clark: The Legacy Lives On, a documentary about the life and death of an Eisenhower High School football star who suffered a paralyzing injury on the field in 2000, will premiere at 7:30pm Sunday on Comcast SportsNetChicago. Pat Boyle narrates the poignant and emotional story one year after the death of Rasul “Rocky” Clark at age 27. Services will be held Wednesday for Bill Gutman, former sports producer at NBC 5 who later taught social studies and broadcasting at Oswego East High School. The north suburban Highland Park native previously worked for stations in Green Bay, Wisconsin, and Kansas City, Missouri, and for ESPN. In 1982, he joined the sports staff of NBC 5, where he spent 15 years. Gutman, 58, died last week after a five-year battle with colon cancer.